Do you want to know How To Downgrade Zenfone Max Pro M2 Android Pie To Oreo then you are at the right place? As you know that Asus Zenfone Max Pro M2 recently got Android 9.0 Pie update officially. If you have not got the update till now and want to update to pie then follow this guide. But I will not suggest you not to update because this update has got lot’s of bugs and many it needs to be fixed. Now if you have updated your Asus Zenfone Max Pro M2 and want to Downgrade From Android Pie To Oreo then follow this guide till the end. 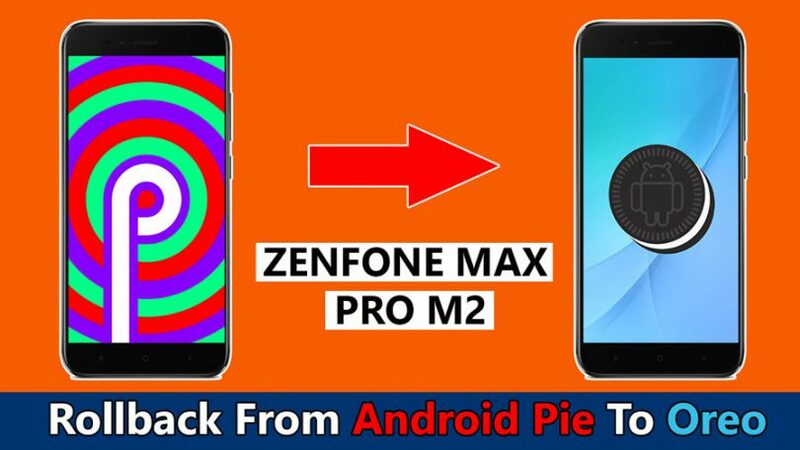 In this guide, I have shown you the step by step method on How To Downgrade Zenfone Max Pro M2 Android Pie To Oreo. So, follow all the steps carefully and you will be able to Downgrade your Zenfone Max Pro M2 from Android Pie To Oreo. Most of the Android Pie features that you have seen in other smartphones like Digital Wellbeing, Battery Manager and Gestures that you will not get in this update. We just have to use TWRP Recovery for a few minutes and once the Oreo ROM is flashed TWRP Recovery will automatically get deleted from your phone. And your phone will look as it was previously. This Guide Is Only For Asus Zenfone Max Pro M2. Do Not Try These Steps On Other Devices. Step 6: That’s It 🙂 You Have Successfully Downgrade Asus Zenfone Max Pro M2 Android Pie To Oreo. Now if you want to Relock Bootloader and Unroot your phone. 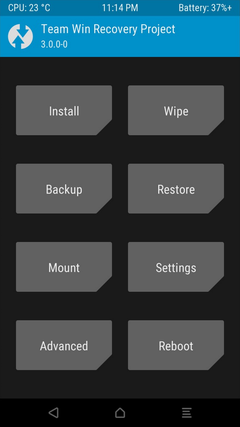 The Follow This Guide ==> How To Unroot And Relock Bootloader On Asus Zenfone Max Pro M2. Final Words: I have shown you the easiest and 100% working method to Downgrade Asus Zenfone Max Pro M2 Android Pie To Oreo. I hope this method worked for you. And if you want to ask any questions related to this guide then make sure to comment down below. We would love to hear from you. You saved my phone bro thanks for sharing this guide! Ohh! Man finally able to revert back to oreo thanks to author for sharing this guide i have read your previous guide on how to downgrade mi a1 from pie to Oreo that also helped me to downgrade my phone thanks for this type of amazing worth guides. After downgrade to Oreo mobile is rooted or nor? Plz reply.. The previous steps worked fine. But once I boot again, I do not get the TWRP Recovery Mode, I get an Android recovery screen.